Fixing Medical Equipment: Solutions for Healthcare Facilities - Stat Bio-Medical Sales & Service, LLC. Administrators of hospitals and clinics or office managers for medical and dental practices all require biomedical repair services at one point or another. Regular medical equipment calibration and annual servicing are required by industry and government regulations. Knowing who to call for emergency medical monitor repair or fixing medical equipment that is essential to the healthcare services that you provide can be a challenge. However, if you are already working with a reputable company for equipment servicing and calibration, check to see if they offer emergency services as well. 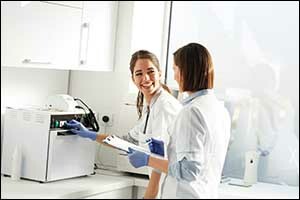 Medical device repair companies like Stat Bio-Medical Sales & Service offer customers a variety of services designed to help them keep their equipment up-and-running. From basic cleaning and lubrication to refurbishing and rebuilding, it pays to work with a trusted and reliable service provider. Repair and restoration, preventive maintenance, and medical equipment calibration are all critical to the ongoing success of the patient care and services that your facility provides. Make sure that you are working with a reputable service for all of your biomedical repair services, including emergencies. When you contact our team to provide you with servicing and repair of your biomedical equipment, you can expect to receive top quality, professional services. Our team of highly trained, experienced, and certified biomedical technicians work with physicians, surgical centers, hospitals and clinics throughout the United States. We have service areas that include the North East, South West, South East, East Coast, and Mid-Western states. We deliver a wide range of comprehensive services, all of which are designed to exceed the standards set by OSHA, JCAHO, CLIA, and even NFPA 99. Our team works with all of the top brand names in the industry to provide our clients with the services they need to maintain all of their essential equipment. In addition to fixing medical equipment on an emergency basis, we also offer preventive maintenance contracts, medical equipment calibration, biomedical repair and refurbishing, as well as annual servicing requirements. When available, we can even provide our customers with loaner equipment opportunities for emergency medical monitor repair, urgent autoclave repair services, and other essential biomedical equipment services. In addition, our team can connect you with representatives for the sale of new and reconditioned equipment to help you meet the demands of your facility. Working with a team like the one that you will find at Stat Bio-Medical Sales & Service can help you in more ways than one. While we can provide emergency services for fixing medical equipment that has broken down or offer compliance support for medical equipment calibration, we can also provide more comprehensive services with our service contract options. A service contract helps medical facilities to stay compliant with the healthcare industry and government regulations, ensuring that all equipment is accurately and effectively working to provide quality health services to patients. In addition, our clients can also take advantage of our Client Access Portal to assist with biomedical equipment management. The Client Access Portal can be used by administrators and office managers to check in on the status of any equipment that is being serviced. We offer our customers ongoing service contracts that are designed to help busy practices, clinics, centers, and hospitals stay on top of all equipment servicing to improve safety and accuracy across the board. The functions available with the Client Access Portal makes it easy for administrators to get the data they need to fulfill industry and government requirements. We can even create custom solutions to provide for the care and servicing of all biomedical equipment to reduce downtime, improve efficiency, and support you and your staff. Get a FREE ESTIMATE for all services available through Stat Bio-Medical Sales & Service by calling toll-free 1-877-995-1117. Whether you require emergency services for medical monitor repair or other types of biomedical repair, we can offer solutions for maintaining and fixing medical equipment. Ask about our service contracts, annual servicing programs, and medical equipment calibration for even more comprehensive services.